Although Saigon has dramatically changed after the reunification day, the scars of war still remain. One of the best places in the city that serves as a reminder of the huge devastation caused by war and a reminder of the country’s history is War Remnants Museum. 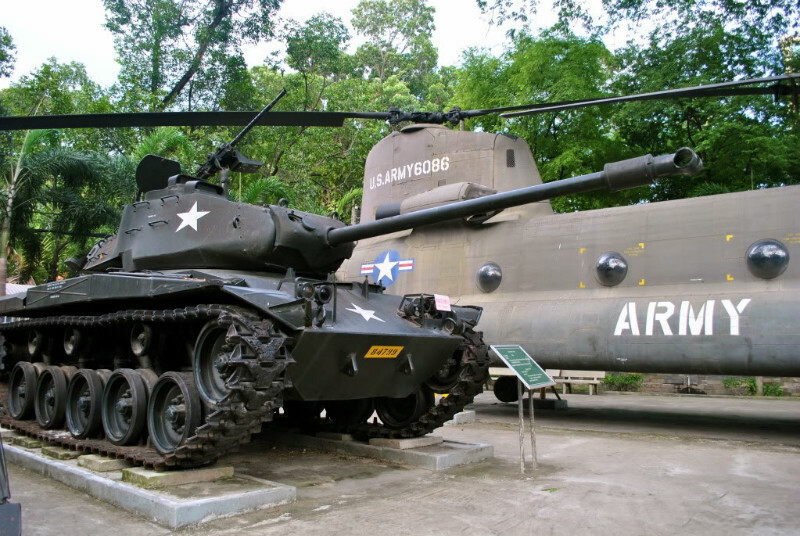 Originally, the museum was known as an electronics maintenance center of both the US army and the former Sai Gon regime. The city then turned the center into a large exhibition of US crimes on September 4, 1975. And it changed into the War Remnants Museum after 20 years later which has preserved and displayed a wide range of photos and other relics relating to the recent wars in the country. 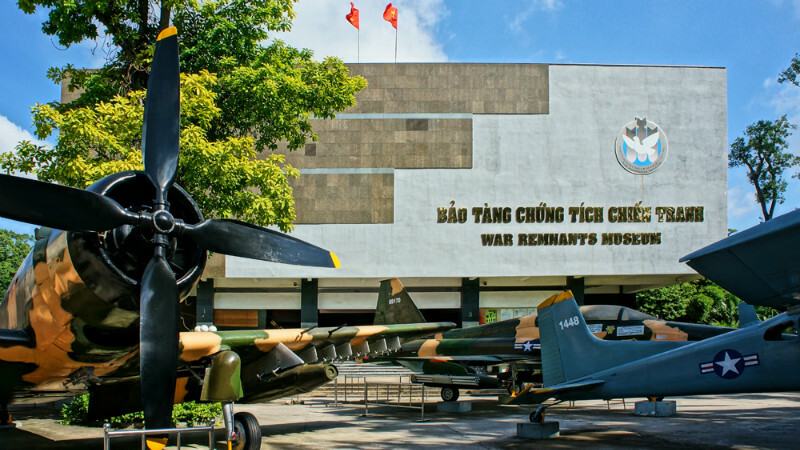 For both the locals and tourists, the museum praises the Vietnamese’s resounding victories during the fierce battles for independence. The War Remnants Museum has its own glamour by a special architectural design. On the whole, the inside space is large, enormous and emphasized with the significant exhibits. Meanwhile, its walls are thick enough to prevent the sunlight from damaging the photos. One of the valuable highlights guests will see on display throughout the museum is the exhibition of Ishikawa Bunyo’s collection. With more than 250 impressive photographs of soldiers and civilians, this collection is frequently contemplated by lots of tourists. 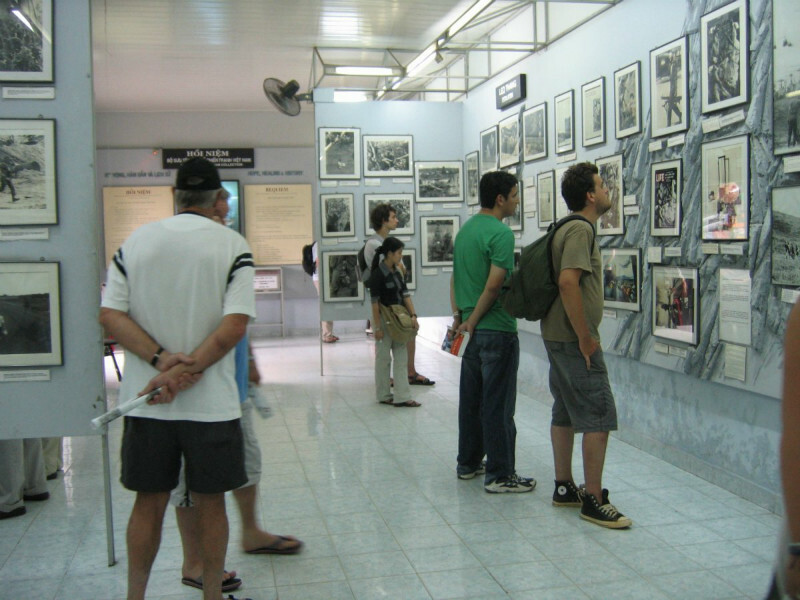 In addition, graphic pictures are on display, which show the impact of Agent Orange on the S-shaped country. Many guests have failed to hold their tears in front of such the pictures, particularly younger ones. Although dozens of foreigners might have a confronting and overwhelming experience, such the photos still touch their heart. Along with photographs, weapons, artifacts and other military equipment are also exhibited that make people gain an authentic experience. Another interesting place to explore is the courtyard outside the War Remnants Museum since its wide displays include former prison cells and an array of military equipment (e.g. tanks, planes and helicopters). Don’t forget to drop by a souvenir shop where you are freely able to buy nice handcrafted souvenirs as a small gift for your beloved. Visiting an air-conditioned library is also a good idea to sharpen your knowledge about the war. In general, the place is open all days of the week, from 7.30 AM to 12 PM and 1.30 PM to 5 PM, with the entrance fee around VND 15,000 per visitor. Getting there is easily done by grab taxi, motorbike or public transport. Bus Route No. 14, No. 28 and No. 06 are some brilliant recommendations for you to visit the museum. Of course, a walk to this area is not a bad idea. And prepare to feel depressed and distressed when you leave the War Remnants Museum. 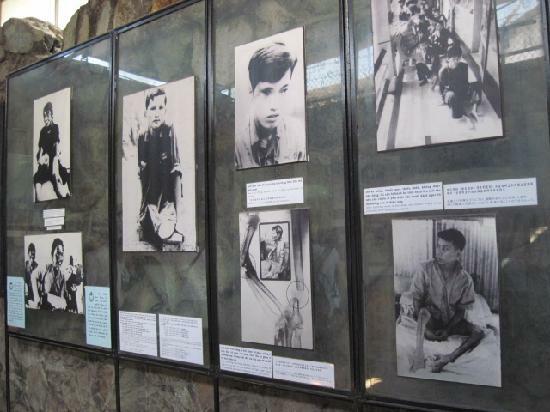 There is no place that can display the scars of war more authentically and genuinely than this museum. But, the photos here may scare little kids. Thus, it is better to think carefully before deciding whether to visit the museum with children or not! For a memorable and satisfying trip, you can access our link at Ho Chi Minh City Tours. Have an unforgettable time! What are the Best Bars to Consider in Ho Chi Minh City?